Are you a student looking for an opportunity to broaden your tech knowledge? Are you passionate about Python or IoT and would like to know more? We have a great offer for you – a learning program CISCO INCUBATOR 7.0. One of our Incubator alumni – Noro – would like to tell you more about this unique experience. I learned about the Incubator in June 2017, at the end of my first year of MSc in Computer Science. We received an invite for a presentation about the Cisco Incubator program at my University (register for such presentation HERE – 18th of April, virtual session). My friends and I were particularly interested, since we were all passionate about Computer Networks. We knew it would be good, as we also had in the past the opportunity to attend very interesting presentations given by Cisco employees during our cursus. I went to the Incubator’s presentation and it was a great experience! One of the speakers actually joined the Incubator when he was a student like us and was hired after his graduation. We had the most interesting discussion about the challenges and the opportunities they are facing every day. What really caught my attention is when they mentioned that they learn so much through their day-to-day activities, and how supportive Cisco is to help you in your growth and learning. What about the recruitment process for the Incubator? Was it easy or scary? What did I learn during the Incubator? I learned so much about a large variety of topics! I did not only learn about networking, we also had sessions during which we received a training to improve our soft skills, and also to write a good resume. We even received coaching on how to apply for a job. But back to the networking training, we were offered the opportunity to earn a voucher for CCNA exam and get certified. We had weekly webinars and monthly seminars about diverse subjects, like Computer Security, IoT, VPN and more. The monthly seminars happened at Cisco Office and this is probably the part of the Incubator I enjoyed the most. I got to meet very talented people and to be trained by them. But I also had the chance to meet the other students who joined the Incubator as well. We built strong friendship and we are still in contact today. Oh, I almost forgot to mention – you can win prizes during the Incubator. One of us won a trip to visit Cisco’s office in Poland. I’ve been there for training, a month after I have been hired, and I can assure you this is an experience you don’t want to miss! Being a student requires time, I know. I also had many projects at university. But don’t worry, it is easy to combine it with Incubator and the training is designed in a way that you can have flexibility. And what about my daily work now after I graduated from the program? How does my work look like? 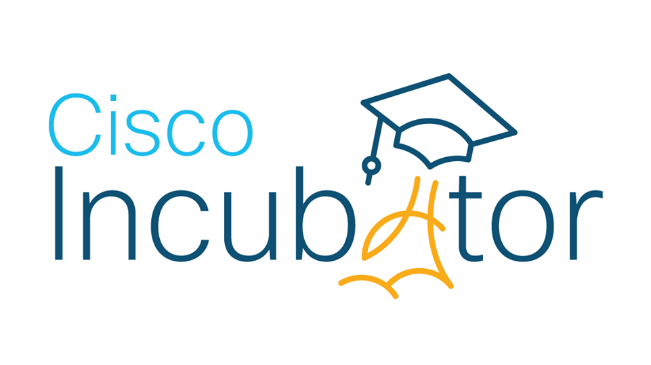 Would you like to know more about the Cisco Incubator Program? Subscribe here to their virtual event!